A Monkey in Winter, Any Number Can Win, The President, or the sublime The Lovers of Lisbon or People of No Importance... 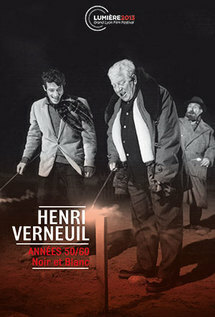 In the 50s and 60s, Henri Verneuil created films that have stood the test of time. Focus on his black and white period on opening night, kicked off by Jean-Paul Belmondo and Françoise Arnoul, who will honor us with their presence. With the support of the SACD. Old grudges resurface in a village when Urbain (Fernandel) finds his wife hanged. Sardonic humor, Provencal photography, and prevented loves paint a joyous illustration of rural France. A man is torn between his wife and his mistress. Masterfully staged, the drama of love and desire offers the actor Fernandel a role of real sensitivity in the face of Françoise Arnoul, seductive and fragile. A man acquitted over the murder of his wife becomes an expatriate in Lisbon, where he meets a young widow. A story of tragic passion between the tormented character of Daniel Gelin and Françoise Arnoul, delectably enigmatic. A gruff truck driver with a soft heart (Jean Gabin) meets a young helpless servant (Françoise Arnoul). Verneuil is a master at portraying routine jobs, loneliness, and vain hope. A great poetic film. Jean Gabin gives a magnificent performance as we delve into French parliamentary life and its mismanagement. The story of a man on the threshold of death, looking back on the decisions of his political life. Two men, played by Gabin and Belmondo, will experience two days of escape and friendship, where their slogan is, “We drink tons and get wonderfully drunk!” The wine and the dialogues by Audiard are delicious. Charles, just out of prison, has a plan to organize a holdup at the casino in Cannes. The classic French thriller is served by the unbeatable trio of Verneuil-Audiard-Gabin, joined by the young Alain Delon. The clash of two truckers who must convey clandestine cargo. The cutting dialogues by Audiard for Belmondo, Ventura, and Blier place humor and class in the middle of the Moroccan desert landscapes.